My name is Bill Prouty. 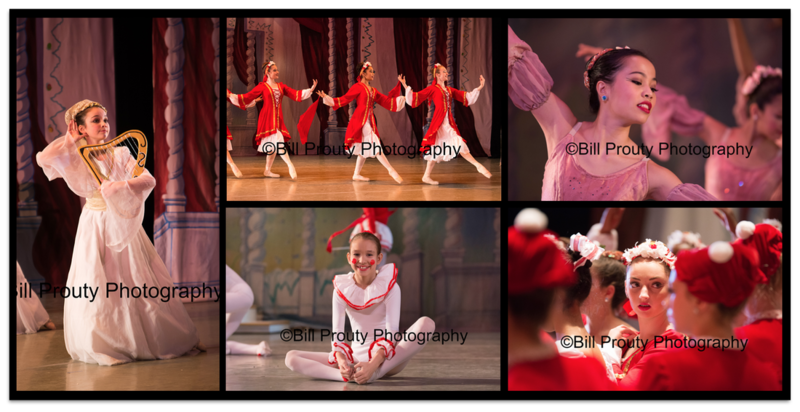 Mrs. Logrea gave me the great privilege of photographing the second dress rehearsal of the Nutcracker on Dec 15th. I danced professionally for over 20 years. I was fortunate to perform as a company member with The Washington Ballet, Cleveland/San Jose Ballet, American Repertoire Ballet, Sacramento Ballet, Eglevski Ballet, The Metropolitan Opera Ballet, and as a guest artist with many others. From all my years performing, I know the beauty, line & athleticism of ballet; the close relationship of the dancer to the music; and the sheer joy of performing. This is what I have sought to capture in my photos and portraits of your beautiful dancers. I've made a private photo gallery available for you to view. Please see link below. If you would like to purchase any of the photos, please contact me at my email address provided below with the subject line WBC 2016. Let me know the photo(s) you would like (by number) and I will get them to you as digital files on a flash drive.